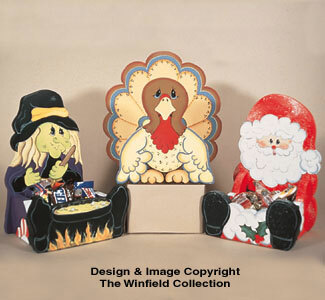 Patterns to make 3 decorative holiday baskets--Santa, Turkey and Halloween Witch. (9" tall) Regular retail $7.95. Save on this pattern for a limited time.